925 Sterling salt dish with a glass insert and spoon, an adorable petite dish with loads of character. Sterling silver home essentials will make a perfect gift for Hostess & Wedding shower gifts. 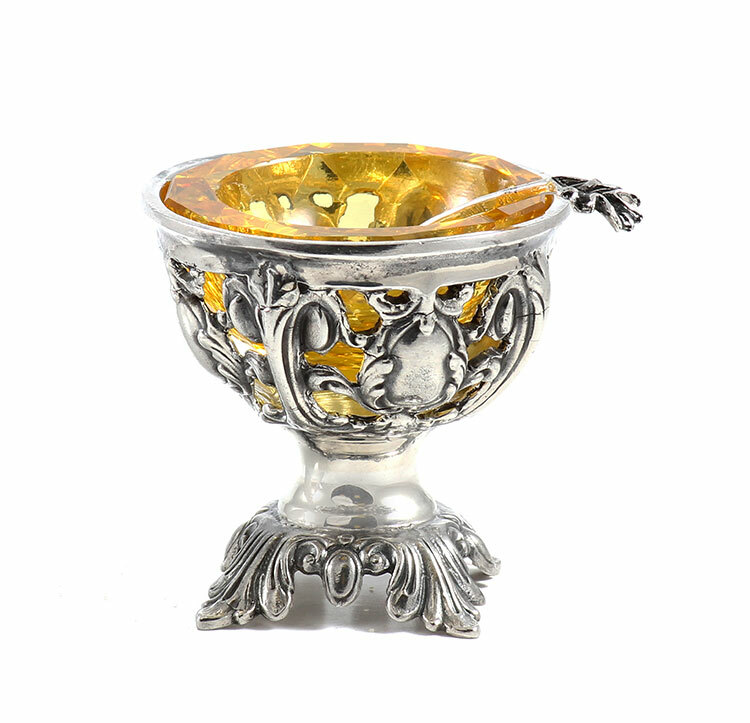 Sterling silver has been cherished and preserved for centuries and handed down from generation to generation. Shown with Yellow glass inserts, also available in other colors, see the item options below.